At least Peter Dutton has one supporter on the issue of white South African farmers. A LIBERAL frontbencher has labelled Greens senator Sarah Hanson-Young's comments "disgusting" after she criticised Home Affairs Minister Peter Dutton's recent statement regarding the persecution of South African farmers. 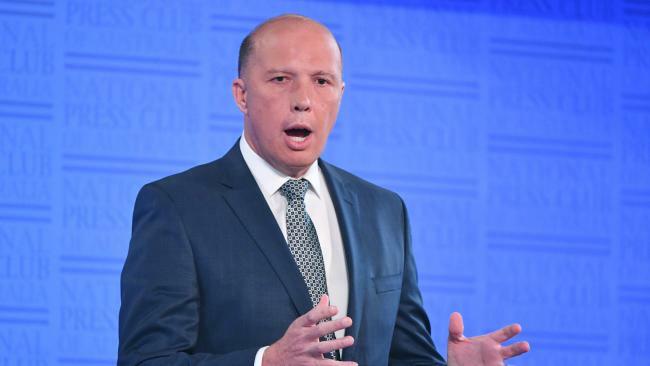 Ms Hanson-Young deemed Mr Dutton's comments "galling" and "appalling" after the Home Affairs Minister sparked controversy for suggesting the farmers deserve "special attention". His views prompted accusations of racism, and suggestions he was attempting to favour white foreigners over other groups seeking asylum in Australia. "I mean frankly it begs the question - if there was a boatload of white South African farmers who arrive in Australian waters seeking asylum and protection, would Peter Dutton be sending them off to Nauru and Manus Island?" Ms Hanson Young said on Sky News. "Because currently under the law in Australia, that's what would happen. "I mean the fact that Peter Dutton is suggesting there could be some kind of special fast-track for these people, and not others, is pretty galling. "Obviously everybody who has an asylum claim must have it assessed promptly, fairly and be resettled in a timely matter. "The problem with people like Peter Dutton is he thinks he can pick favourites - favourites it seems like from where they come from and what they look like. I think it's appalling." 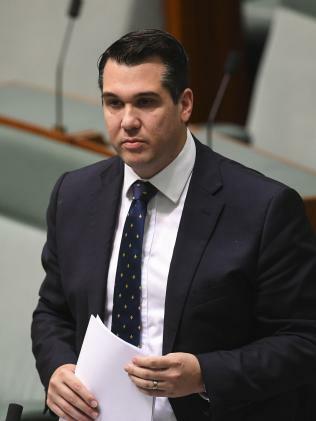 Liberal frontbencher Michael Sukkar fired back on Sky News, describing Ms Hanson-Young's comments as a "disgusting thing to say". "From time to time, once you've got your borders under control, and you have a generous humanitarian intake as we do, you can from time to time make decisions to assist certain groups, as we did with persecuted minorities out of Syria and Iraq, and I applaud Peter Dutton," Mr Sukkar said. 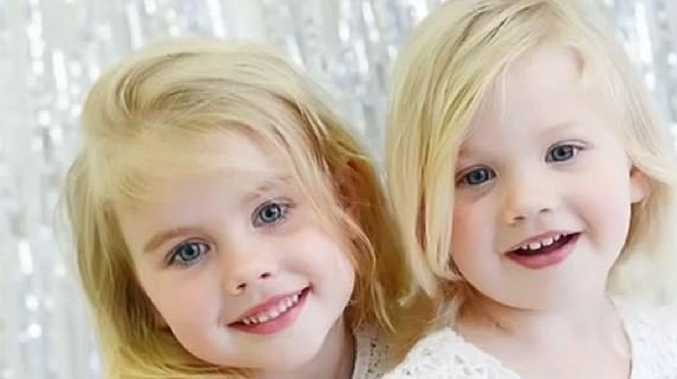 "I absolutely applaud him and the work of Andrew Hastie in raising this issue in Australia, because this is a very, very bad period in South Africa, for a persecuted group of particularly white farmers. "I mean I see the reports that you see, from pretty reputable sources. It looks like it's pretty grave for that group, and I think from a humanitarian perspective anything we can do to help is something that I thought everyone would applaud. "I'm to be honest quite shocked that anyone says, or basically intimates, that if you're persecuted and you're white, you don't count," he said. "I think that's quite a disgusting sort of thing to say, which is really what Sarah Hanson-Young was saying today. So I really applaud Minister Dutton, and I would encourage him to do everything he possibly can to ensure that Australia, who's got a great record in helping persecuted minorities, reaches a hand out and helps them in any way we can." Meanwhile, Tony Abbott has defended Peter Dutton's suggestion to allow persecuted white South African farmers to settle in Australia as refugees. Speaking on 2GB, the former prime minister said people need to consider the "very serious situation" developing in South Africa. 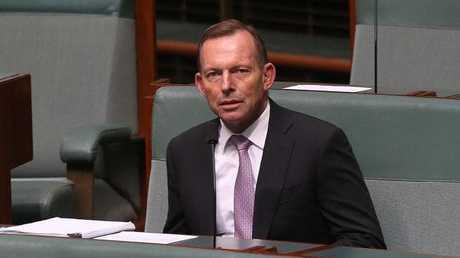 "Something like 400 white farmers have been murdered - brutally murdered - over the last 12 months," said Mr Abbott. "Now just imagine the reaction here in Australia if a comparable number of farmers had been brutally murdered by squatters intent on driving them off their land. "We would say this is a crisis - a national crisis - so a very serious situation is developing in South Africa." Tony Abbott has defended Peter Dutton’s remarks on South African farmers. Mr Abbott said the South African president, Cyril Ramaphosa, was attempting to push a law to allow the state to steal land from farmers. "My understanding is that the new president has encouraged the parliament to pass a law allowing the expropriation without compensation of white farmers," he said. "If the boot was on the other foot we would call it racism of the worst sort, and I think we should acknowledge this as a very, very serious issue of justice and fairness and freedom for people who are trying to do the right thing, feed their country. "And I think Peter Dutton was absolutely right to say that under our humanitarian immigration program there ought to be a place for people who are being persecuted this way." Other senior members of the party have distanced themselves from Mr Dutton's comments. Foreign Minister Julie Bishop said Australia would not be making special visa considerations for white South African farmers. "I believe the humanitarian program's credibility comes from the fact that it is non-discriminatory and that each application is assessed on its merits," she said. 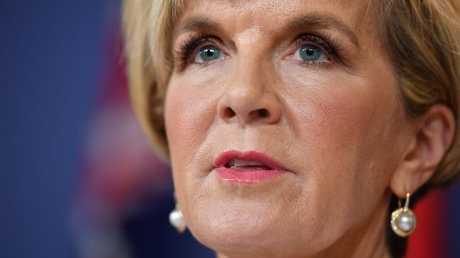 Julie Bishop said Australia would not be making any special visa considerations for white South African farmers. Finance Minister Mathias Cormann similarly stressed that Australia's humanitarian program "is non-discriminatory, and that means it is open to white South African farmers who feel persecuted on the same basis that it is available to others". "It's not a matter of being put to the top of the queue - it's a matter of being open in a non-discriminatory fashion to provide assistance to people facing persecution," Senator Cormann said. "As I understand it Peter Dutton has asked his department for some options on what might appropriately be able to be done and he's best to continue to explain what he's intending to do and on what basis." Mr Dutton's comments sparked a firestorm of debate on social media last week, with some accusing the minister of racism. Activist and author Yassmin Abdel-Magied described it as "hypocritical" and an "absolute joke" for Mr Dutton to suggest that white South Africans would be more law-abiding than other groups, saying "white people break the law all the time". The South African government also took a negative view of Mr Dutton's comments, saying there were no threats to white farmers in the country. "That threat does not exist," the South African Foreign Ministry said last week. "There is no reason for any government in the world to suspect that a section of South Africans is under danger from their own democratically elected government.